Click on any hex code in the left hand pane to open up the color picker. 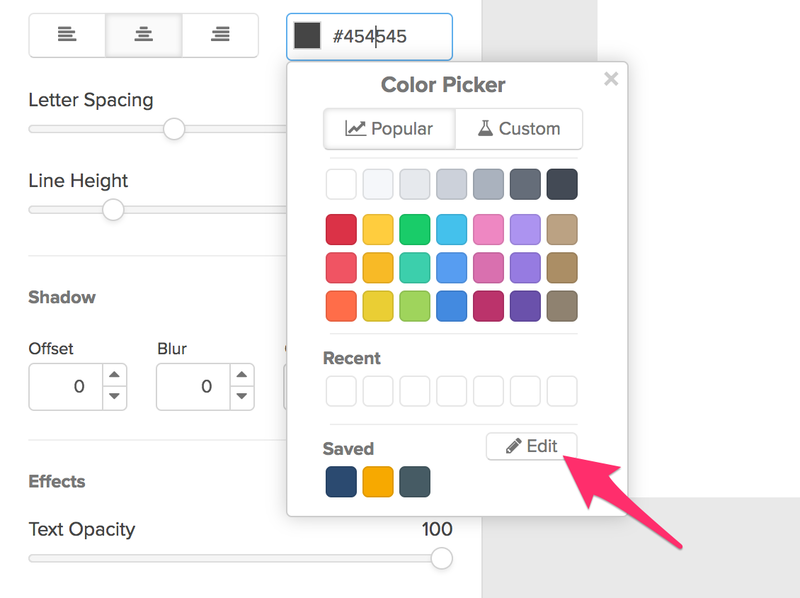 Once the color picker is open, click the ‘edit’ button in the Saved section. 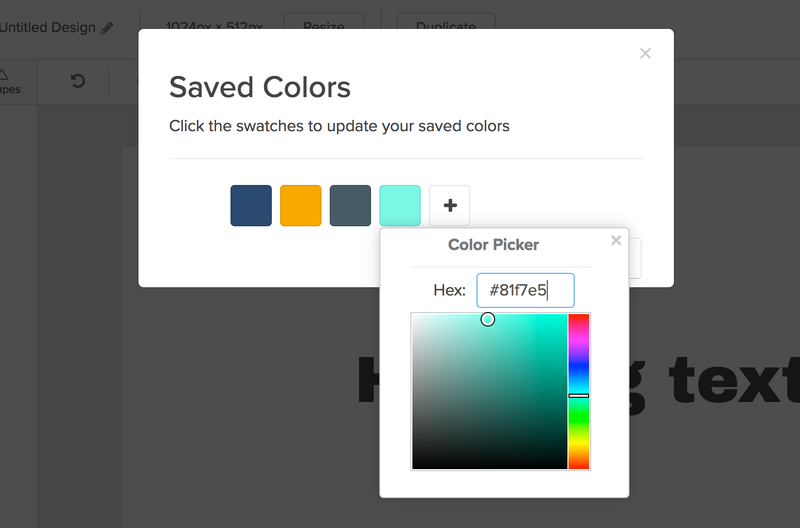 Click on any of the swatches to modify an existing color or click the + symbol to add a new color. Then close the color picker and click “Save Colors"